New limited-edition poster available in the store! The pre-order period for this poster is open now, until end-of-day Sunday, Sept. 2. Buy the poster here! This is our annual crew poster, made by Extra History artist Nick DeWitt, who was very inspired by the cool color palette and themes of overcoming depression in the popular indie platformer Celeste. "Be proud of your death count! The more you die, the more you're learning. Keep going!" 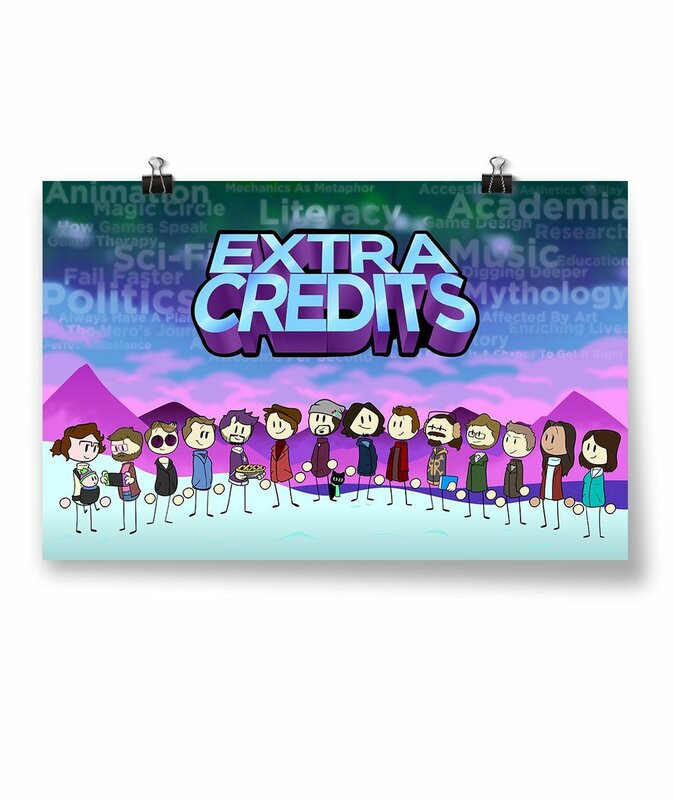 And so, the Extra Credits team kept going. From left to right: Ali, Joe, Arthur, Belinda, Nick, Scott, Matt, Zoey (cat), James, Jac, David, Rob, Geoff, Tiffany, and Alisa. New shirt available in the store!